If you’re looking for a unique Christmas gift for someone special, then Amy Swann and I have something very special for you. 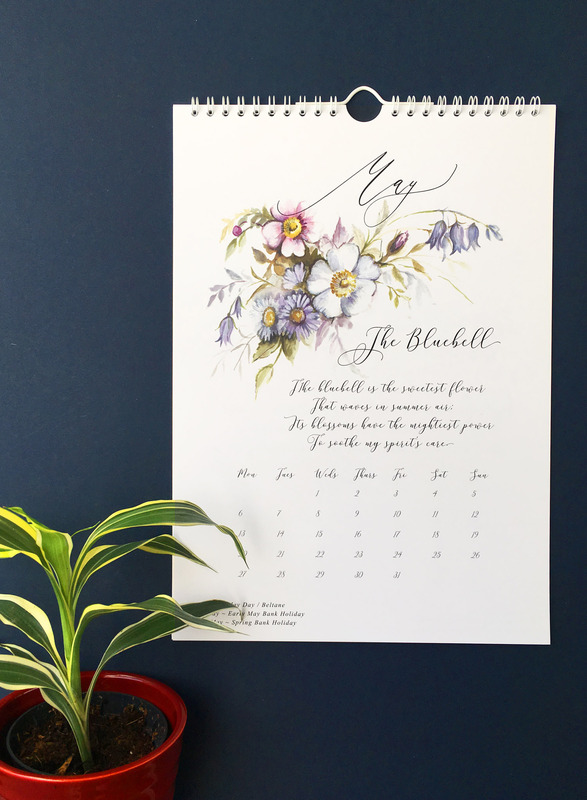 If you haven’t spotted it yet, our wall calendar for 2019 is available to buy on Not On The High Street – we’re getting the last batch in from our printers very soon and they’ll ship out to customers the first week in December! 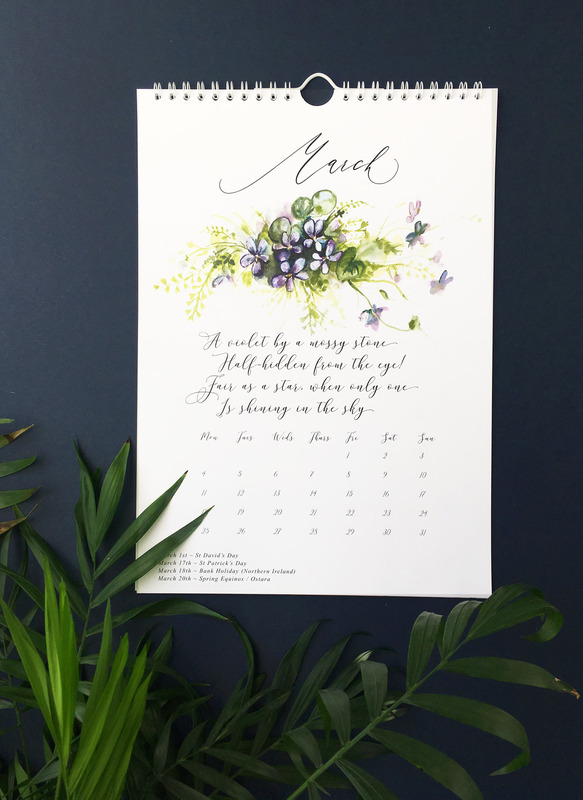 Each month has a floral design in the loveliest colours – my favourites are February (we chose vibrant reds for Valentines) and September (juicy blackberries). 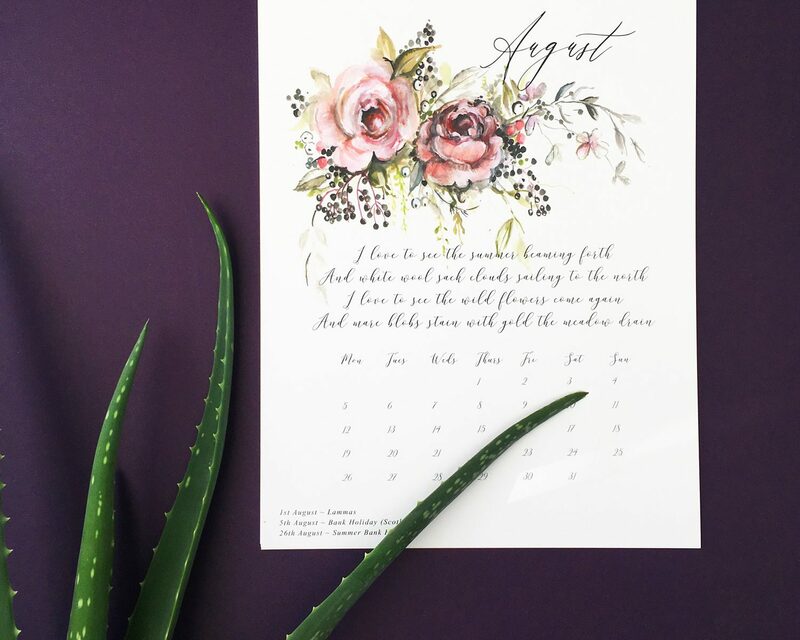 Amy loves April (blossom) and we both adore August, which became our cover image too. “If you look the right way, you can see that the whole world is a garden” ~ from The Secret Garden. To order your copy of our calendar head over to Not On The High Street.